America, Florrick-Obama is your 2016 presidential dream ticket. 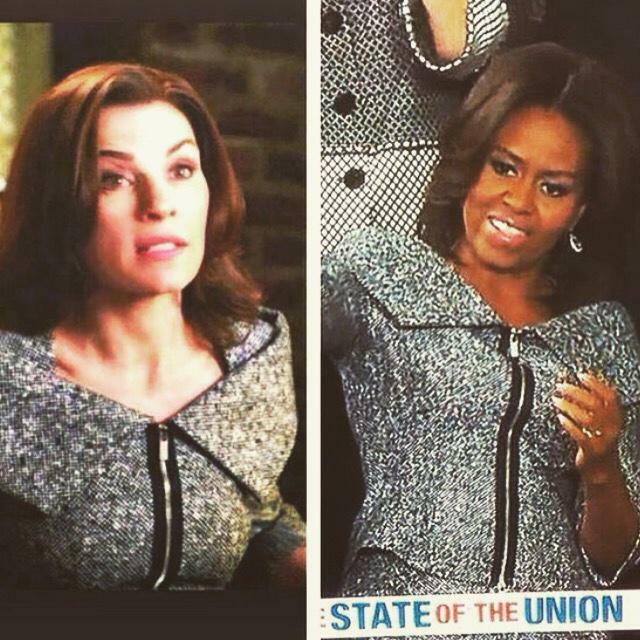 Or Obama-Florrick – whatever it takes to make this happen. 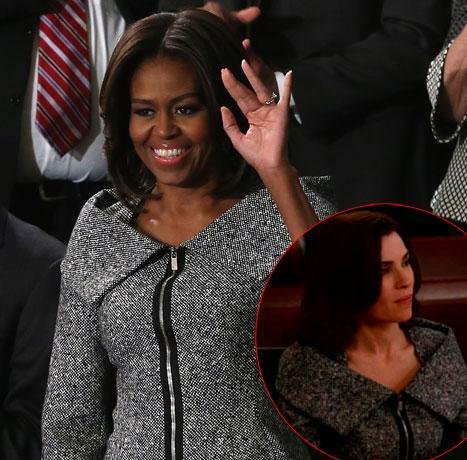 Some gimlet-eyed viewers of President Barack Obama's State of the Union address last night noticed that First Lady Michelle Obama's outfit looked familiar. 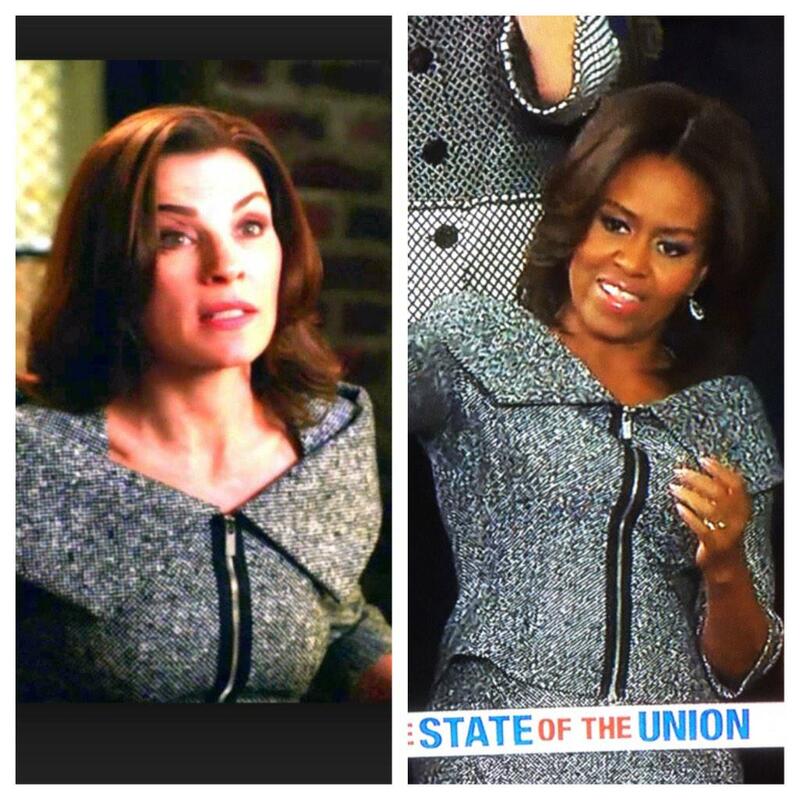 Obama’s black-and-white jacket and skirt by designer Michael Kors is identical to one worn by Julianna Margulies’ character Alicia Florrick in an episode of the TV drama The Good Wife. ...we should be asking this one. America, come 2016, your choice is clear: a dream ticket comprising the two fiercest lawyers to ever come out of Chicago.